In this series of posts, my colleagues and I will dig into some specific, common web application vulnerabilities we observe regularly while performing network and application pentests. The intention of this series is to further expand upon a lot of the great information that already exists on the topic while preemptively addressing common questions we receive from our customers. Cross-Site Request Forgery (CSRF) vulnerabilities allow an attacker to cause a user to perform an unintended action. The vulnerability exists because browsers automatically send session cookies, and the same-origin policy does not prevent a site from sending a request to a different domain. For a successful CSRF exploit, the attacker needs to be able to determine all the parameters needed for the targeted function; the web application can only use HTTP cookies for tracking sessions. The user will also need to be logged in when visiting the malicious website, depending on the specific function the attacker is targeting. Let’s use a very basic web application to demonstrate this vulnerability. The application was modified from a post on the Devshed forums to suit our purposes. 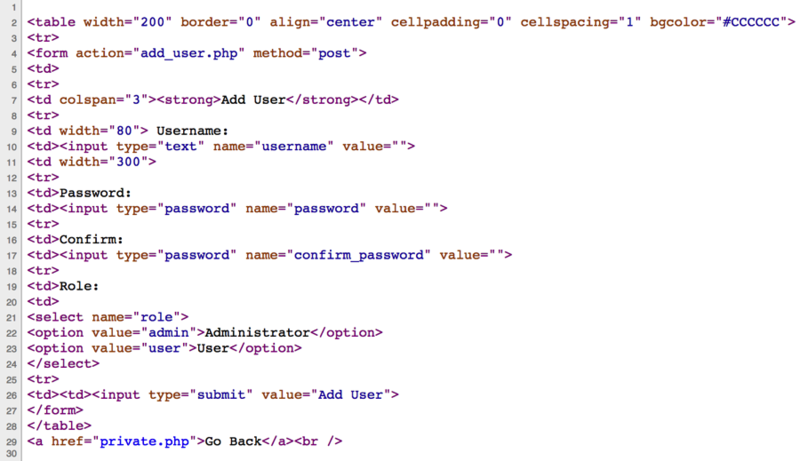 This application has an authentication function and two defined user roles: user and admin. 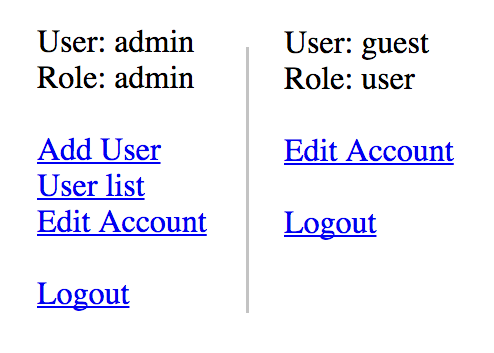 Admin users have the ability to view the list of users, add a new user and edit accounts. Regular users can only edit their own account. Since the browser will automatically submit the session cookie, we can create a malicious page that will set each of the parameters and submit the form. While this particular example required an administrative user to be logged in, a CSRF attack targeting a login function, for example, would not be restricted by this. If the default account and IP address of the web application are known - say for instance, a home router - an attacker can create a page to log into the router’s administrative portal and obtain a session cookie that can be sent with subsequent requests. In this scenario, attackers would not need to access the router portal directly. Instead, they would perform administrative functions via CSRF attacks. Additional methods to mitigate CSRF include requiring the user to log in again for any sensitive function or verifying the action with something like a CAPTCHA. This post discussed an overview of CSRF and how easy it is to exploit as long as an attacker knows the parameters of the targeted requests. While most CSRF attacks will require the user to be logged into the targeted application, any request can be forged without the proper security mitigations in place.